If you live in Dublin 18 and have a plumbing emergency, call plumber Leopardstown. It maybe a burst pipe, leaking radiator or your boiler has packed up, whatever the plumbing problems you have definitely come to the right place. Our team at Leopardstown plumbers are always on call and ready to help. We are available 24 hours a day 365 days a year for any plumbing emergency you may encounter. Our team always guarantee to be out to you in under an hour for those unexpected plumbing issues. We offer a complete range of domestic and commercial plumbing services. If it’s broken we can repair or replace it. As a large company who have been trading for over 30 years our experience is second to none. All of our staff are highly skilled qualified plumbers. They are R.G.I. certified and are aware of all current health and safety legislation. All of our team carry full insurance for both public and professional indemnity. For your extra assurance all works carried out by our team comes fully guaranteed. Our plumbers are extremely professional in all their conduct. They are hard working, reliable and 100% focused on providing the best service for all of our customers. Your Local team at Plumber Leopardstown provide all the following services and more. · Gas Boiler servicing by and R.G.I. engineer. · Boiler repair and installation. · Full central heating system installation. This includes tanks, pumps and radiators as required. · External & underground drain pipes laid and repaired. · Burst and leaking pipes repaired and replaced. · 24 Hour emergency plumber Leopardstown call out service. · New fitting of showers, baths, toilets and sinks. · Unblocking sinks and toilets. Drain unblocking using drain rods, plumber snakes and jet flushing. At plumber Leopardstown we take the utmost pride in the way we operate our business. We are totally honest with our clients. We use an up front price policy without hidden fees or charges. Our quotes are very good and we provide the best plumbing services available. This approach has been the foundations upon which we have built our great reputation. Our team do not charge for call outs, time for getting parts or traveling time. We are always delighted to offer free unbiased advice and professional no obligation quotes. 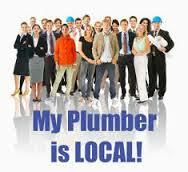 If you need a local plumber in Leopardstown give us a call today on 01-2844921.